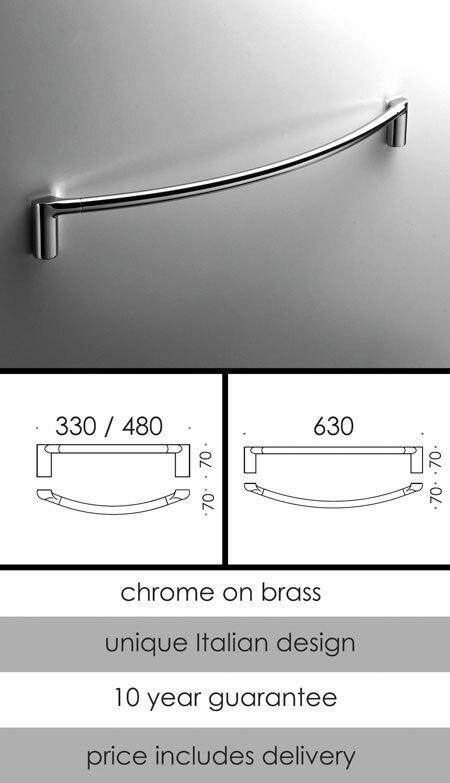 The latest in Italian contemporary styling this towel bar is beautiful quality and available in 3 towel holder lengths. Part of a luxury quality bathroom accessory collection. * Superior chrome on brass. * 3 towel rail sizes.